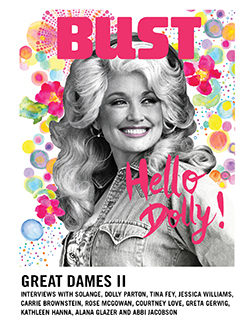 We're getting musical at BUST with album reviews from our January/February 2019 print issue! Girlpool’s Cleo Tucker and Harmony Tividad have always been in perfectly imperfect harmony with one another. So much so, that on their first two albums, the BFFs-since-high-school’s voices were often hard to tell apart through all the charming dissonance. With What Chaos Is Imaginary, they’ve both discovered their own voices, and together have found a new sound that’s more refined yet as earnest as ever. Tucker, who uses they/them pronouns, has gone through a transition, which they prefer to call a “gender flow,” that has deepened their voice, giving it a beautifully raspy timbre that vibrates on opener “Lucy’s,” a previously released solo track.